The local presence of these ag biotech giants, as well as smaller but still significant industry players, has made the Triangle a fertile ground for startups. So has the ability to collaborate with research universities Duke, NC State and UNC-Chapel Hill. The startups strengthen the Triangle’s magnetic pull for biotech talent, said Jim Blome, CEO of Bayer CropScience. Additionally, the PSI will help grow North Carolina agriculture into a $100 billion market, create more than 2,300 new jobs by 2024, and provide a return of $19.90 for every $1 invested. This impact extends beyond NC State’s campus, as what’s developed at the new Plant Sciences Building will need to be tested in the field at 18 off-campus research stations and 10 field laboratories scattered across the state. This applied research will help North Carolina farmers increase crop yields, extend growing seasons, manage drought conditions, and use water and pesticides more efficiently. This is important work, especially considering the fact that farmers must double food production by 2050 to meet the demands of a growing world population. The PSI will build on North Carolina’s strong agricultural economy, attract businesses, and help farmers become more successful. In short, investing in the PSI is a no-brainer. The second investment in agriculture is a new, co-located laboratory facility for NCDA. The new lab will replace five separate labs that are on average more than 40 years old. That’s right, 40 years old. The buildings are rife with problems: inadequate ventilation, poor climate control, limited capacity to expand, and the inability to utilize advanced testing equipment. If you are not certain about their importance, here’s what they are responsible for in a nutshell: identifying foreign animal disease or bioterrorism agents, testing international shipments of poultry and livestock, and testing the safety of food and animal feeds. 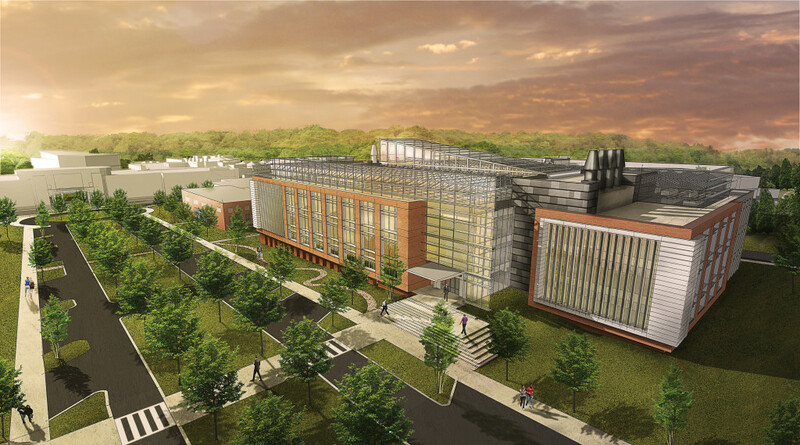 The Plant Sciences Initiative and the co-located NCDA laboratories are just two of many deserving projects in the Connect NC bond package. If you’d still like to learn more about the bond or the other projects included in it, we recommend visiting voteyestoinvest.com and connect.nc.gov. Remember, the bond referendum will be on your ballot on March 15th—don’t forget to vote!